One of Japan’s most successful scriptwriters of modern times, Nozawa’s work is loved and respected by both public and industry alike. Venice Film Festival Silver Lion winner and well-known living Japanese director Kitano (Beat) Takeshi chose a Nozawa script for his directorial debut - Sono Otoko Kyobo ni Tsuki (Violent Cop). Released from Argentina to Finland and Indonesia to the States, the multi-award winning Violent Cop went on to be acclaimed as a landmark of Japanese and world cinema. Countless Nozawa scripts have become repeat-screening TV drama series, attracting top casts, consistently breaking ratings records, and going on to be remade internationally. 1960: Born in Nagoya, Aichi Prefecture, Japan. 1982: Graduates in Film Studies from the Arts Department of Japanese National University. 1985: Debuts as a script writer with Fuji TV drama series Koroshite,Anata(Kill Me,Darling),lollowed by numerous TV and film productions. 1997: Receives the 43rd Edogawa Rampo Prize with Malice, and the 4th Shimase Romance Literature Prize with Renai Jidai (Alone in Love) in the same year. 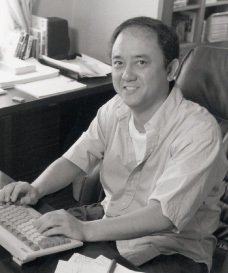 1999: Receives the 17th Kuniko Mukoda Prize for Television Dramas Kekkon Zenya (The night Before our Wedding) and Nemureru Mori (The Sleeping Forest). 2001: Receives the 22nd Yoshikawa Bungaku Shinjin Prize for Shinku (Crimson). Shinai Naru Mono e (To My Beloved); Aoi Tori (L’oiseau Bleu); Kori no Sekai (The Inanimate World); Suiyo no Joji (A Wednesday Love Affair) and others. Marilyn ni Aitai (I Want to Meet Marilyn); Sono Otoko　Kyobo ni tsuki (Violent Cop); Last Song; Shinku (Crimson) and others. Limit; Yohito; Mabue; Hitahitato; Ryuji 03-04; Futatabi no Koi (Love Affair); Koroshiya Shu (L’ecume Des Jours); Rekka no Tsuki (The Moon in a Fury) and others. Contact us Copyright (C) 2012 Hisashi Nozawa All Rights Reserved.